The sun might be setting on summer style, but that doesn’t mean you have to surrender your splashiest looks. To the contrary: reigning in your pastels, giving your kaleidoscopic patterns a well-deserved break, and hanging up other warm-weather staples—see you next year, seersucker—is a welcome opportunity to bust out something new and unexpected. Enter the black-and-white-all-over outfit. Here’s why we love it: both colors tout a dress-it-up, dress-it-down versatility that affords seamless wearability for practically any occasion. Black cuts a smart, distinguished silhouette on anyone, and white—which, yes, you can wear after Labor Day—shows that you’re cool with pushing the boundaries. Pair the two and you’ve got a winning, classic-but-cool combo. Even so, it can be a difficult move to pull off. Contrast and proportion are essential. Too monochromatic, and you’ll look downright drab. Too baggy, and you’ll look like a maître d‘. Here are four fail-proof ways to wear the look that are guaranteed to turn heads—in a good way. One of the reasons we love fusing opposite ends of the color spectrum? The stark contrast means that even a little bit of print can go a very long way. Tossing on a picturesque statement shirt adds some pop without being overpowering, while a rugged set of denim cements a languid vibe. As for your soles, keep your footwear showy, but subtle. 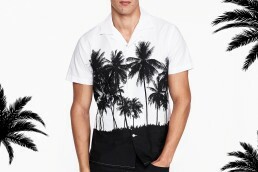 Since you’re already commanding attention with a busy tee, it’s imperative to keep everything else relatively muted. Remember, you’re trying to make a statement—without shouting. When temps dip, every guy resorts to the tried-and-true V-neck sweater and dress shirt combo. For good reason: it’s low-effort, super versatile, and well-suited for the business casual demands of an average office gig. Unfortunately, the look can wear thin, fast. Pro tip: rock a polo as your base layer—it’s an uber-functional switch-up that will separate you from legions of other long-sleeved nine-to-fivers. Streamline the look with sleek pants and sneaks—again, bulk and billow are the sartorial enemy here. 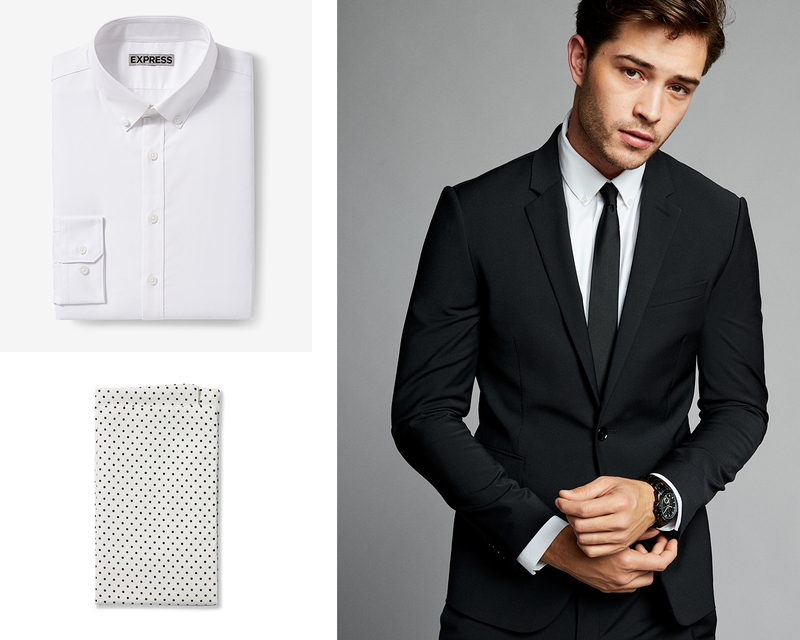 If the moment calls for an extra dose of formality, this timeless getup rises to the occasion. There’s a reason why everyone from leading men to C-suite execs swear by it. It’s sharp, sophisticated and oh-so straightforward. The key? Tailoring. 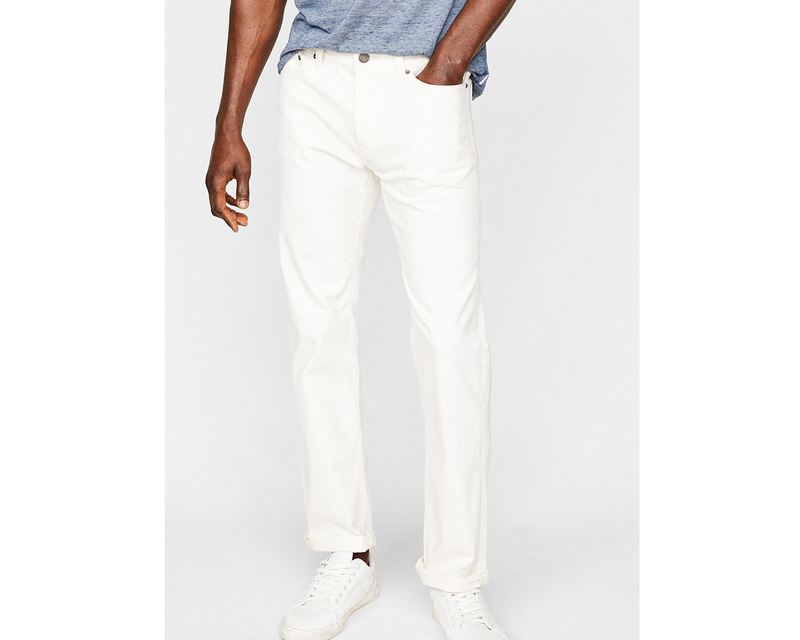 Sport a slim white dress shirt under a trim two-button and tie it off with a red carpet-worthy skinny number. To really clinch the look, mix in a not-to-busy pocket square that has some bite to it. Sometimes, the easiest way to upgrade a fit is by sticking to the basics. As timeless as it is on-trend, a tee-with-jeans is the easygoing go-to for fashionistas far and wide, as the archives of any street style blog will prove. 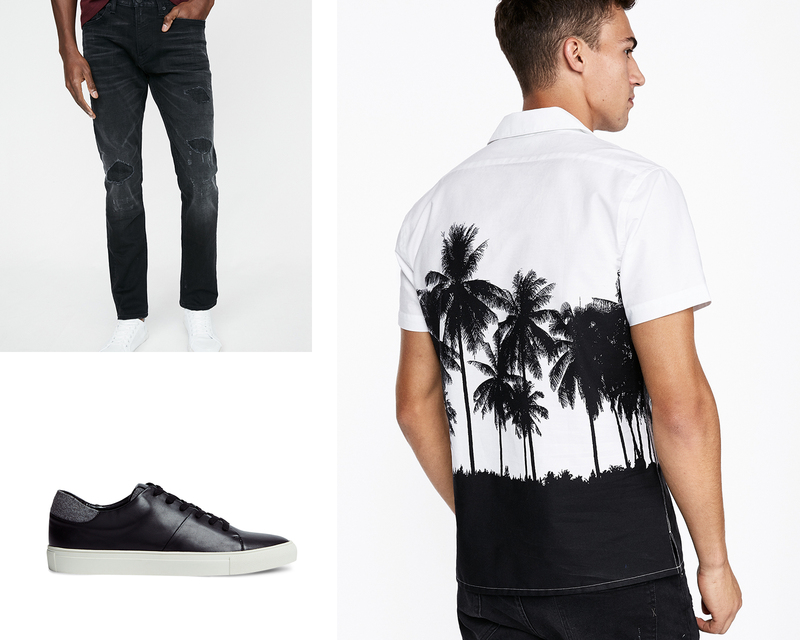 For head-to-toe simplicity that goes a long way, lace up some understated soles with white jeans and an always-reliable black tee. Or, incorporate a graphic that’s a bit more expressive (literally). Don’t sweat it if it seems too basic: sometimes, with style, it really is this black and white.